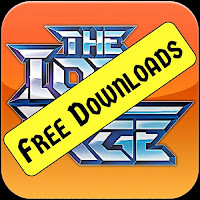 It is time for a break at The Ion Age in the month of highest summer and thus we have no releases this month and we will be rather quiet too. We will spend the month working on new codes and other awesome things for the coming autumn campaign season. No hints just now other than to say there will be a new platoon pack with unique miniature and also more melee focused infantry plus further new vehicles and free downloads. We will not be sitting with our feet up, oh no! So what have we for you this month instead? Go HERE or read on for more. This month we have a fantastic terrain month long offer with 50% off (half price) on the IAF015J Smashed Hab Dome which adds damaged structures to your gaming table. We will also have a rare thing which is a 'Double Reward Points' event (20 Points per 1GBP spent) which will be announced on our blog and through email giving a chance to get up towards the Commander Murdo Taranis Tank or huge Habitation Colony Bundle using your points saved up on your account with us. Or to stack points to get a 10%, 15% or even 20% discount on a future order (including sweet brand new releases at that time).Click on the orange box bottom middle of the website screen for full details of Reward Points. We will also have a 28mm scale event centred around the MOTH skirmish game system towards months end which will include the book in print and as a digital download plus platoon bundles. Keep an eye out for these news items during August. Down but not out! 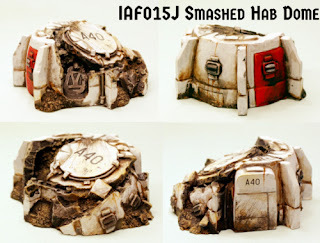 This Hab Dome is battered and bruised perhaps from Marcher Baron bombardment or Khanate Legion caresses but its still standing. Cracked open like an egg with one side totally intact and then other reduced to rubble the top of the dome has slid down but its still got an intact mounting point for a turret top of your choice. This release is from a great number of world wide requests for something in between an intact and a totally destroyed structure. A high quality grey tone resin one piece casting which is 65mm wide and 20mm to 30mm tall with a high degree of external and internal detailing. It fits in well with the rest of the terrain range from the Ion Age. Suitable for use in any science fiction setting. 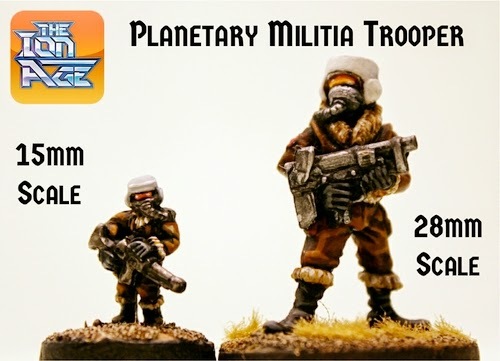 Go HERE for our Terrain range in 15mm scale. 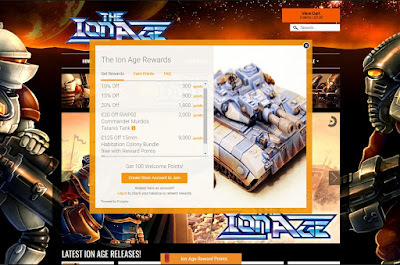 You can read all about our Rewards Programme on our BLOG where the system and what you can get is laid out in detail. We have an extensive 28mm scale range of miniatures for the Prydian Army and the Shia Khan Empire as well as rule systems for open table or grid based intense combat in that scale and close in with no vehicles and more characterisation when compared to Patrol Angis. Look late on this month for a great offer. 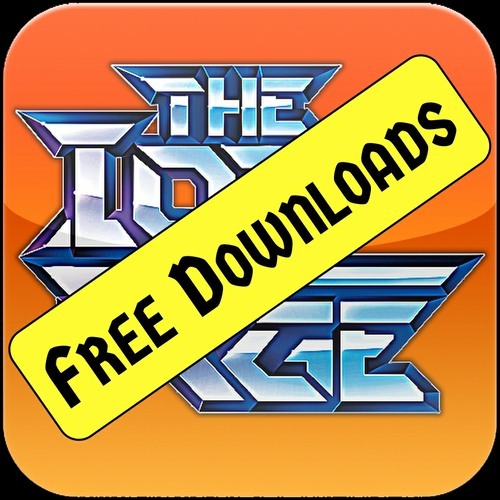 Lastly remember to check out our Free Downloads page for a load to read and to make use of in your games set in The Ion Age. Bittersweet. Sad since there are no new shiny goodies. You have spoiled us. Happy since you folks always release such good stuff at a rapid pace that, I cannot fathom what will be the byproduct of a month's respite.